Shearling, also known as sheepskin, is a sheep or lambskin pelt that has undergone a limited shearing process in order to obtain a uniform depth and look to the wool fibers. Shearling is commonly used in jackets, coats, shoe linings and slippers. 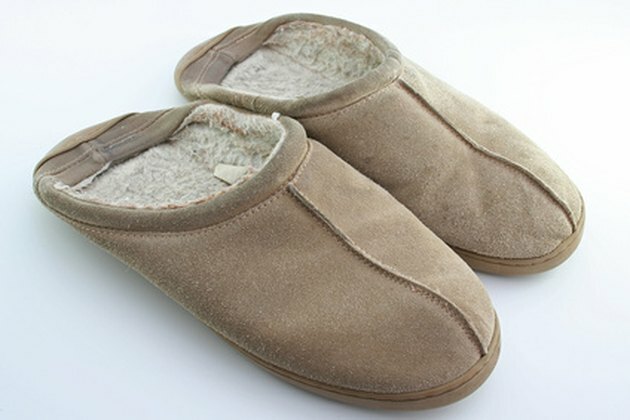 When cleaning shearling slippers, it is recommended you only clean them as needed to remove dirt. Shearling products should be dry cleaned or washed by hand. Chemicals, bleaching agents and hot water should be avoided as they can cause irreversible damage to shearling slippers. Shearling slippers should only be dry cleaned or washed by hand. Fill up a sink, bath tub or washing basin deep enough to submerge the shearling slippers with cool or room temperature water. Add wool soap, following the manufacturer's instructions for the amount to use. Submerge the slippers in the water so they become saturated. Allow them to soak in the solution for 10 minutes. 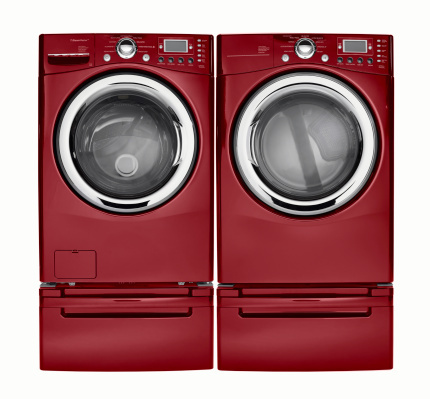 If necessary, rub any dirt spots or stains with a soft cloth to lightly loosen the spot or stain. Remove the slippers from water. Rinse them under cool water to remove any soap. Wring and squeeze the slippers to remove moisture. If needed, press a towel into the slipper so it absorbs excess moisture. Try to absorb as much of the moisture as possible. Stuff the toes of the slippers with paper towels or wash cloths to help absorb moisture and retain the slipper's shape. Allow the slippers to air dry indoors. Remove paper towels or wash cloths from the toe. The slippers are now ready to be worn.